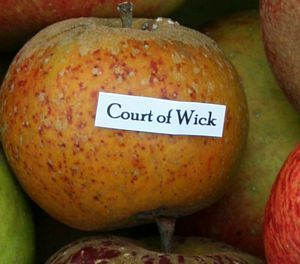 Court of Wick - Apple Tree £15.75 - Dessert Apples - Mid Season Apple Trees and Fruit Trees For Sale. Buy at competitive prices with wholesale discounts. This is an old Somerset variety that was first introduced in the 1790s. 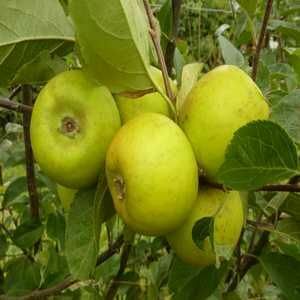 It bears small to medium sized conical apples with a fruity and aromatic flavour. A pretty apple with golden yellow skin, speckled russet and red blushes, it is crisp, sweet and juicy. It is a vigorous and hardy tree with good resistance to scab and canker, making it a wise choice for planting in areas of high rainfall.